Size. The universe is ordered on a huge range of scales, and we inhabit a position somewhere between the very big and the very small. 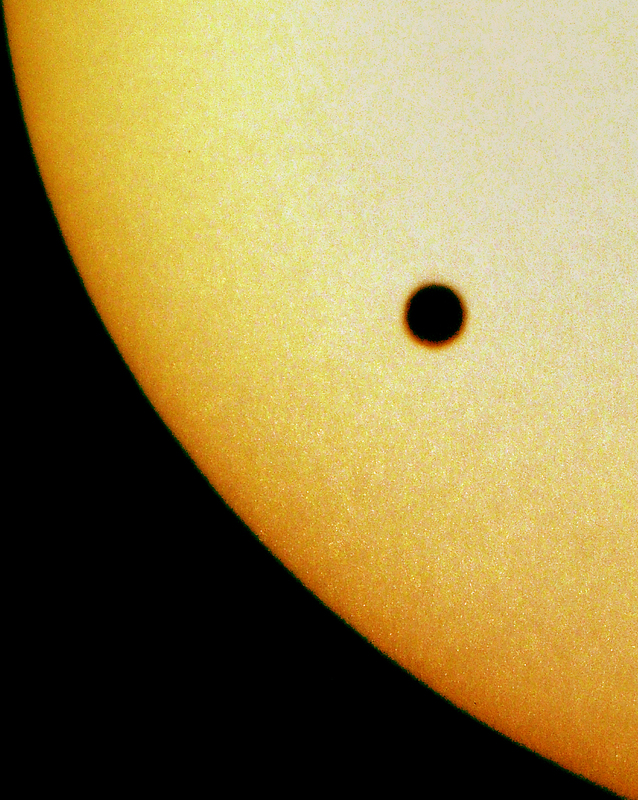 I’ve been able to use photography to record the 2004 Transit of Venus, where the planet passes in front of the Sun – certainly the biggest object I’ve ever photographed. 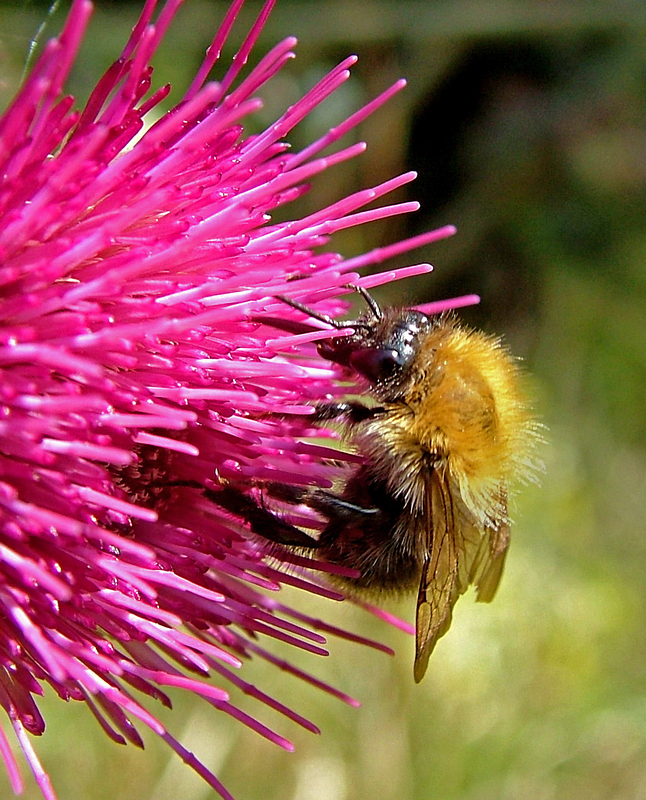 At the other end of conventional photographic practice, I managed to show the proboscis on this feeding bee, and the veins in her wings. 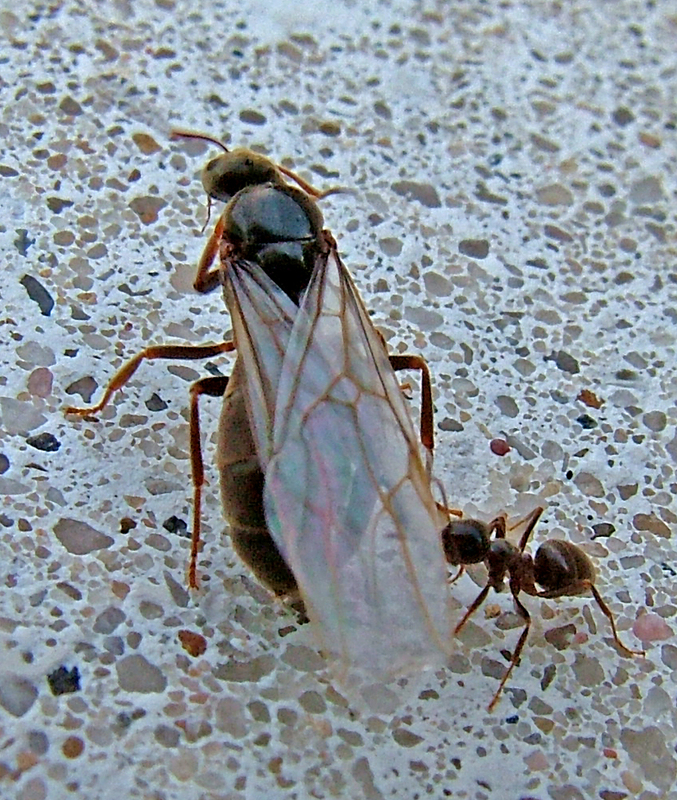 You can see the veins on the virgin queen ant, too, about to set off on her nuptial flight. She’s having her wings cleaned by a worker ant, and the pose reminds me irresistably of a bridesmaid, adjusting the bride’s gown or veil. 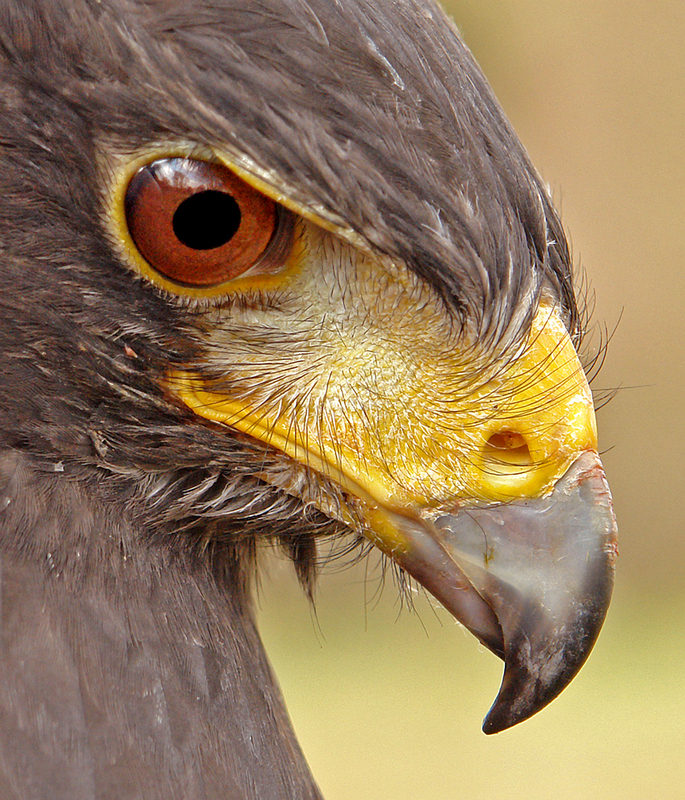 The Harris Hawk is more in scale with us, but they normally move quite fast, and photography lets us see the fine detail of hairs around the beak and nostrils. 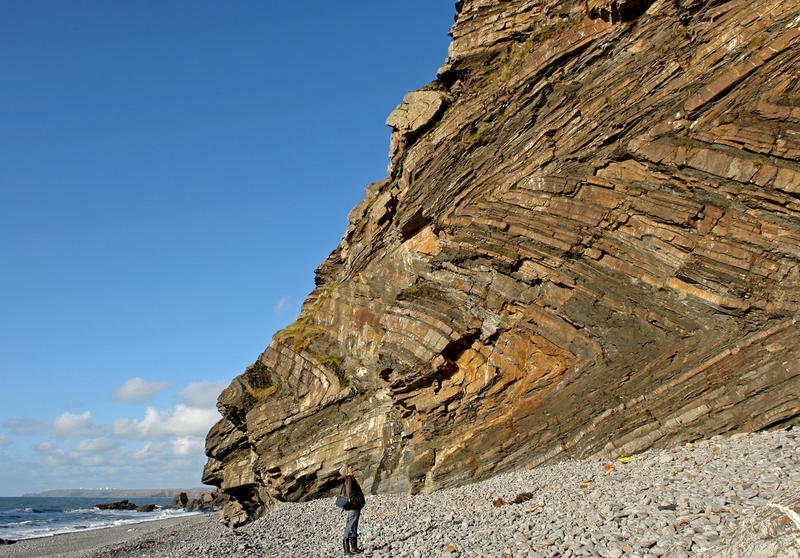 And of course on a different scale again – both of size and time – we can examine the twisted strata of these Cornish cliffs.